Eight food truck teams. Seven weeks to compete. One shot at $50,000 and a brand new truck. That’s the premise behind the Food Network’s popular reality show, The Great Food Truck Race. If you’re not watching, you should be. The Great Food Truck Race offers valuable insights into the dos and don’ts of running a food truck. While the show is certainly sensationalized—what “reality” show isn’t—it provides some context to real life situations that you can study and judge. You can ask yourself: How would I handle that situation? Is that issue real, or contrived? Am I making the same mistakes as these food truck owners? Perspective and preparation are your rewards for watching and engaging in such thought exercises. Hopefully you’ll glean a bit of entertainment too; the show is hosted by celebrity chef Tyler Florence, after all. The Great Food Truck Race teams never know what’s going to happen next. Such uncertainty exists in the daily routines of all food truck owners. Granted, you may never need to convert your entire truck’s menu to vegan meals for a single day in order to stay in business (a challenge imposed on the show), but you will need to know how to improvise when you’re running out of a key ingredient and the line outside won’t stop growing. No matter how close you are to the other people working on your food truck, disagreements and stress are bound to arise from working together in such close quarters. When that happens, resist the urge to point fingers (a common mistake highlighted on the show). Instead, collaborate on a clear plan that resolves the issues and prevents it from occurring again. Remember, you’ll always emerge stronger when you work together to conquer your struggles. When you do, success tastes that much sweeter. We’ve all heard of the K.I.S.S. method, right? Keep it simple, silly. In other words, don’t overcomplicate things. Stick to the basics of what you do best with signature dishes, a clear brand identity, and a single mission. The most successful teams from The Great Food Truck Race typically have short menus featuring just a few dishes that they’ve perfected. They also have charismatic identities and stories that make their truck recognizable and loved. Regardless of personal circumstances, every food truck owner on the show chose to invest in the experience as a means of pursuing his or her dream. Each one faced the likely outcome of returning home empty handed. And yet, they competed anyway—for love of the food truck life. When teams are eliminated, most say the same thing: the experience was definitely worth it. Operate your food truck business with the same optimism. Maintain a cool and level head, and push forward. The Great Food Truck Race subjects teams to overcome unpredictable challenges each week to earn points and advance. In the end, only one food truck team will win the grand prize. Each week, you’ll see the mistakes that cost some teams their dreams as well as the smart decisions the winners make in order to succeed. The trucks start out in California and travel across the country to the east coast, stopping in a different city each week to serve their best creations to a new crowd of hungry locals. The weekly goal is simple: have the most money in the cash box before elimination time. Along the way, the teams face challenges—Truck Stops and Speed Bumps—that either penalize or propel a food truck in the overall standings. During Truck Stops, the teams compete in mini challenges designed to test their ingenuity, decision-making, and creativity. Past Truck Stops include selling a meal inspired by the local cuisine in Manhattan, KS for five dollars or less, creating a five-course meal using only supplies and utensils from the frontier era, and making a dish using prickly pear cactus as a main ingredient. The winner of each Truck Stop challenge receives a bonus that protects them in the main elimination round, such as extra money in the team’s till, access to a prime selling location, or additional time to do business. Speed Bumps are random penalties that affect all the teams, making it tougher for them to prepare their signature dishes or to meet their sales goals. These penalties measure how well each truck handles adversity and makes the best of an unexpected situation. Over the past several seasons, Speed Bump penalties have included rules that all trucks could only serve vegan food for the week, the teams had to make the supplies they had on their trucks last all day long without restocking, or that everything on the menu had to be sold for less than two dollars. Teams come from all over the country to compete in The Great Food Truck Race, bringing plenty of culinary creativity along with them. From grilled cheese to Australian barbecue to gourmet waffles, the food truck teams prove that when it’s done right, no delicious dish is too specific to deserve its own truck. However, while the quality and creativity of the food and the ingenuity demonstrated during tough challenges are what win the race, it’s the teams’ stories that keep fans watching each week. 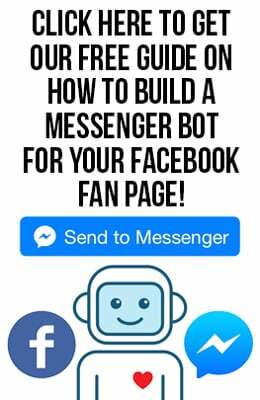 Viewers connect with these aspiring entrepreneurs who are doing whatever it takes to pursue their dreams. Win or lose, each truck owner has a great shot at making it in the real world because they’ll have already made thousands of fans across the country. With the support of their fans, the winners of the past three seasons have gone on to enjoy great success: Season One champion Grill ‘Em All and Season Three champion Seoul Sausage both have restaurant locations in addition to their mobile food trucks. And Season Two winner The Lime Truck has several trucks that travel around Orange County, California. Here are the eight trucks who competed this season. 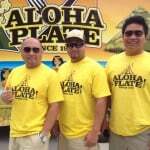 The Winner: Aloha Plate: Run by Lanai, a Hawaiian media personality; his brother Adam, a chef; and their friend Shawn, a comedian, Aloha Plate serves up classic island lunch dishes. Their easygoing and welcoming spirits, bright yellow truck, and creative takes on each new challenge made them a favorite with many fans. First Runner Up: Tikka Tikka Taco: Run by Shaun, his brother Michael, and their Uncle Sam. Shaun says that, as a child, he had two dreams—to be a soldier and to be a chef. Having already completed his time in the Army, he’s now taking on his dream to work in the food industry. The truck serves up Indian fusion tacos flavored with rich spices. 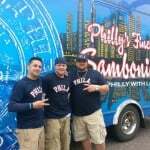 Philly’s Finest Sambonis: Hails from, well, where else? The City of Brotherly Love. Chris, Joe, and Erik are childhood best friends who have known each other for nearly 20 years and are proud to bring their authentic Philly cheesesteaks to the masses. The Slide Show: Made up of Das, Ahren, and Maurice—three professional chefs who hoped to take home the grand prize with their unique and versatile sliders. 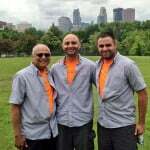 Das has appeared on the Food Network in the past and previously owned a restaurant until his business partners left him behind and in debt. Bowled and Beautiful: Liza, Jessica, and Heather are three moms with a mission to serve up luscious bowls of fresh, healthy California fusion. 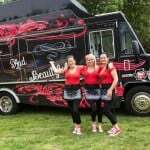 The Frankfoota Truck: Life-long Brooklynites Dana, Mirlinda, and Victoria are obsessed with creating the perfect hot dog, whether it’s wrapped in bacon or a veggie dog topped with hummus. Boardwalk Breakfast Empire: When Joanne’s Jersey Shore restaurant was destroyed in Hurricane Sandy, her best friends Tim and Ilene joined her to create a food truck dedicated to the best meal of the day—breakfast. 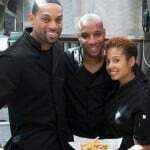 Murphy’s Spud Truck: Yet another family affair, led by Chef Nicole and joined by her mother Suellen and brother James. Los Angeles based but Irish at heart, Murphy’s serves up a variety of stuffed potatoes. How Are You Doing In Your Own Great Food Truck Race? We can all get excited about the Food Network’s The Great Food Truck Race. The stories are compelling and the dreams are real, just like yours. Which begs the question: Although you’re not on the show, how are you doing in your personal food truck race? Although we don’t have a spiffy new truck or a boatload of cash to offer, we would love to hear your story in the comments. 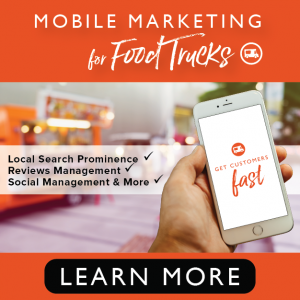 What have you learned about yourself since starting your food truck business? What does the Food Network’s show get right about running a food truck? And most importantly, what dish do you make that’s to die for?